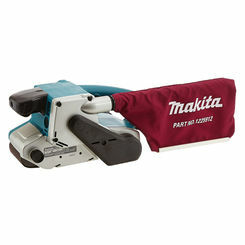 MAKITA 9903 3" X 21" BELT SANDER, 8.8 AMP, VAR.,SPD. 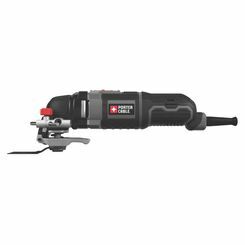 Power sanders are very reasonably priced, and they're even cheaper at PlumbersStock, so smoothing your woodwork by hand should be a thing of the past. 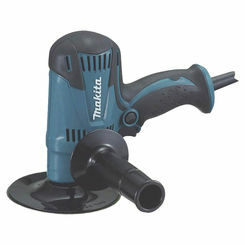 No other power tool can save you on elbow grease quite like a sanding tool can. 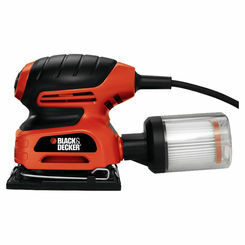 Save on Ridgid and Milwaukee power sanding tools. We have everything, from orbital to belt sanders. 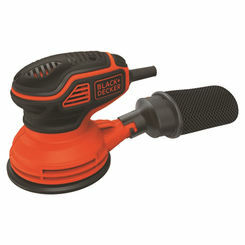 If you need replacement sander parts, PlumbersStock has many discount options. 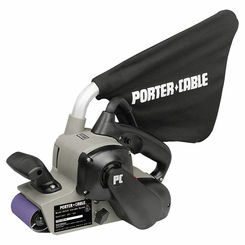 What Is a Power Sander? If you’ve done any work with wood, you know the importance of sanding. When it comes to sanding and smoothing down rough or uneven surfaces, you have two options: do it by hand or with a power sander. 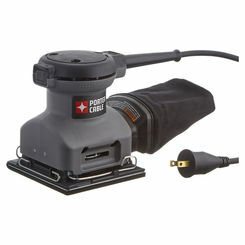 Power sanders are electrically powered tools used to quickly smooth rough surfaces using coarse sandpaper. For any woodworker, this item is absolutely essential as it’ll save you a lot of time and energy in producing those beautiful and smooth finishes. 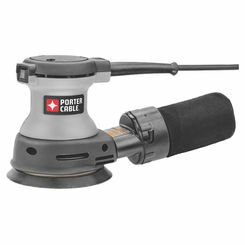 Like most power tools, there are different variations of power sanders. The big three are belt sanders, orbital finishing sanders, and random-orbit sanders. 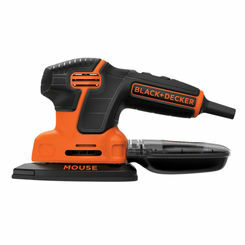 Among handymen and woodworkers, these are considered to be the most versatile of the bunch and are best used to make the tedious task of sanding a little bit more pleasant. 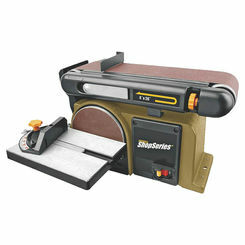 Belt Sander – If the surface you’re going to be working on is large and flat, nothing beats the power and speed of a belt sander. 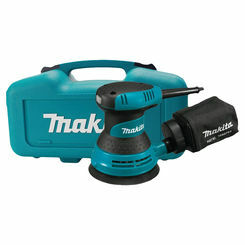 This heavy tool can be equipped with a sanding belt (a continuous loop of abrasive cloth) to make smoothing down any surface quick and easy. 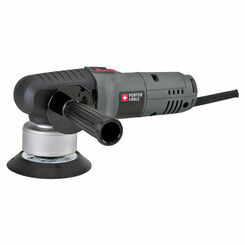 Additionally, this sander is ideal for removing heavy layers of finish such as paint, varnish, or stains. 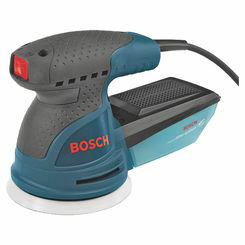 Orbital Finishing Sander – In comparison to belt sanders, orbital finishing sanders are lightweight, easy to use with a single hand, and quiet, making them the ideal tool for smaller sanding jobs. 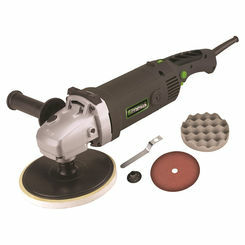 This type of sander is best used for creating an ultra-fine sanding surface and rounding sharp edges. 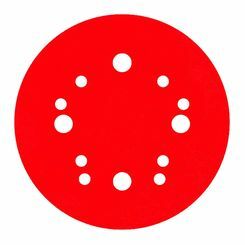 Orbital finishing sanders vibrate in small circles (orbits), which allow you to sand in any direction and they may sometimes be referred to as Sheet Sanders. 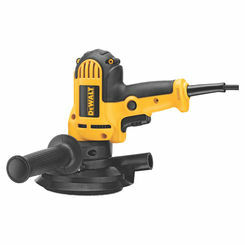 Random-Orbit Sander – This type of sander is a blend between a belt and orbital finishing sander. Since this and the orbital finishing sander share the same word (orbit), it can be confusing figuring out which is which. The biggest difference between them is that a random-orbit sander uses round pieces of sandpaper while the other uses square pieces. This may not seem like a big difference, but it is. 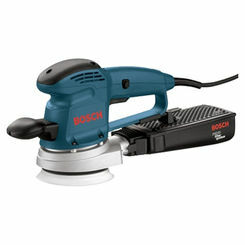 The round pad allows the random-orbit sander to both vibrate in small circles and spin simultaneously, allowing for both heavy finish removal and ultra-fine sanding. 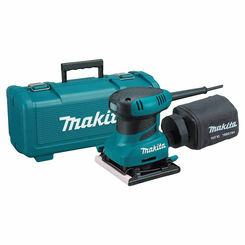 While this type of sander isn’t as fast as a belt sander or as easy-to-maneuver as an orbital finishing sander, it is certainly the most versatile and offers the best of both worlds. 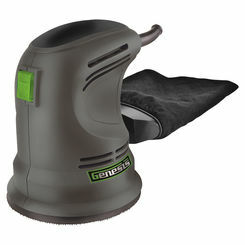 Use Protection – While many power sanders come with a dust-collection bag or dust port, it’s important to wear a dust mask whenever you’re sanding. Some particles in wood can be potentially harmful and this risk is increased if the surface has varnish or paint. 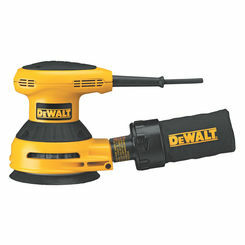 Protect your lungs by using a dual-cartridge respirator and sanding in a well-ventilated area. 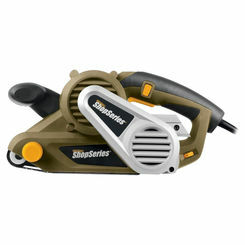 In addition to filtering the air you breathe, some of these sanders (belt sander) are LOUD, so make sure you wear proper hearing protection. Go with the Grain – When working with wood, you’ll want to sand parallel to the grain. This will prevent scratches and will result in a finer finish. In addition, keep the sander moving at all times to avoid creating a depression in the wood. Remove the Dust-Collection Bag before Sanding on Metal – Since a sander is a versatile tool, it can sand wood and metal surfaces alike. Sanding on metal creates sparks, and if these sparks hit a full dust-collection bag, it may start a fire. 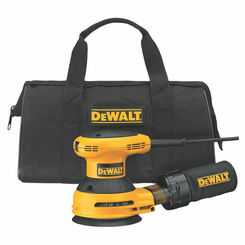 If sanding on metal, blow off the sawdust from your sander and remove the dust bag to avoid any accidents. 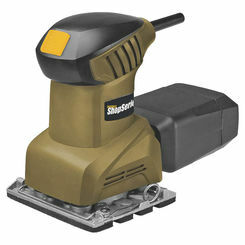 Clamp it Down – If you’re using an especially heavy sander, like a belt sander, make sure you clamp down your boards. If you don’t, the force exerted by these sanders may cause your work to slide away from or toward you. 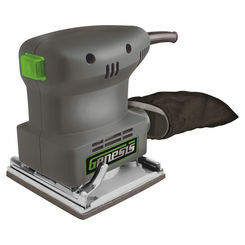 Save yourself the elbow grease while save on a brand new power sander from the online hardware experts. If you have any trouble locating the right tools, please contact us.